This is a monthly series I’m doing to introduce you to our amazing team here at Bamboletta. Today I’m introducing Alana. Alana is a mom to a 9 year old son and 6 year old girl and lives over on the Island where most of my Bamboletta production takes place. I’ve been lucky to have her work with us for 3 years now. 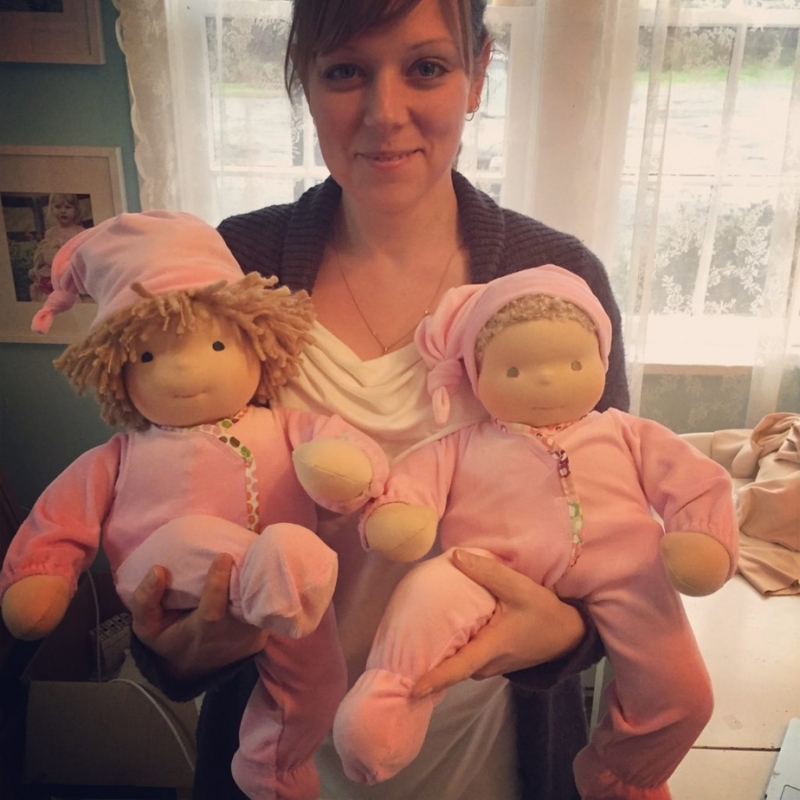 Alana is the lady who makes our doll heads and sews various dolls together. 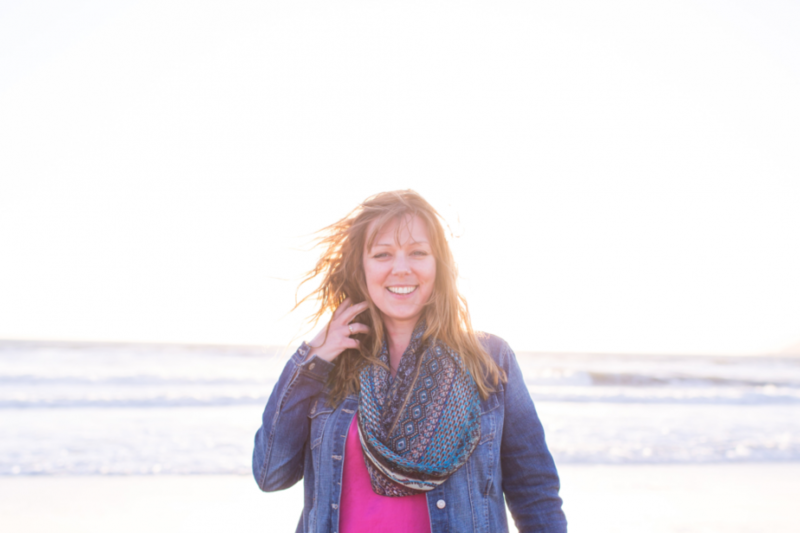 She is def a maker of all things – aside from work she creates all sorts of crafts – from woodworking projects to dream catchers! You know those cute little felt clips you see in the dolls hair from time to time? Yup, that’s Alana. 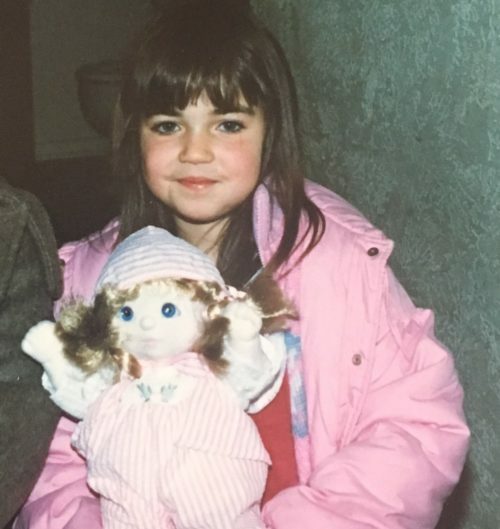 Little Alana and her fav doll growing up. The doll love is strong in this lady! 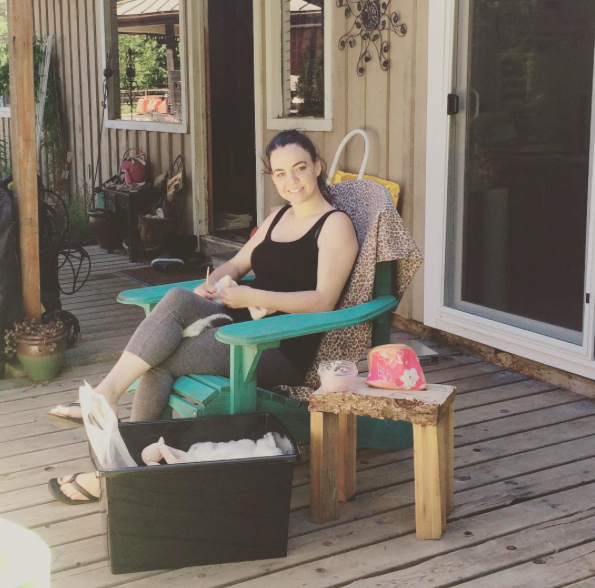 Prior to working for Bamboletta, Alana worked in foster care in Alberta. The quote she often reminds herself of is ‘The days are long but the years are short’ – working from home allows her to stay home with her children and able to participate in every aspect of their young lives. Alana says they fight and argue like most siblings do but have an incredible bond that she knows for sure that being a stay at home and working from home has helped them nurture a great relationship. 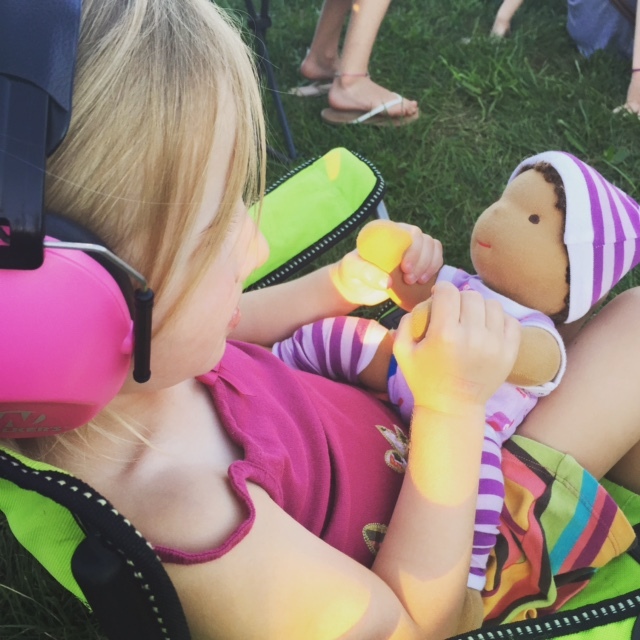 While rolling heads and sewing dolls together, Alana loves to listen to the radio. 2 years ago she did what many of us say we want to do but just can’t (maybe I’m speaking for myself here) – she gave up cable. video games AND the internet. Gah! So music is really important to her and she’s happy it’s such a big part of her kids lives. Alana is such an important part of our team (as are all the ladies!) and we are so fortunate to have her with us. Thanks, Alana! I used to do these kind of posts a ways back and every so often I go back through my blog and see these ‘what I’m listening to’ posts and re discover music I loved. Music is like bookmarks in your life – I can always remember events around times where I’m listening to certain songs. If you are on Spotify – here’s the list! Some old stuff, some new and a little bit of everything! If you are in our Club group on Facebook (come on over and join!) then you’ll see me mention Audrey quite a bit. Audrey is basically the glue that holds Bamboletta together and is SO amazing that I had to tell you all about her. When I moved to Vancouver 3 years ago from Cobble Hill I was leaving all my home sewers and production over there as well. I could have started again in Vancouver – it would have made sense to have the sewing mamas close by and start fresh but I just couldn’t do this to all the ladies. They are wonderful women and incredibly skilled! Audrey proved the solution to keep things humming along on the Island and be the bridge between Vancouver and them. Audrey makes sure all the women get their dolls each week, that all the proper materials get to the right people, goes through every. single, doll and makes sure it’s sewn just right, winds all the doll hair and occasionally runs to the fabric store and grabs elastic when it’s needed. This is just a small sampling of her work – Audrey is indispensable to the running of Bamboletta and there couldn’t be a kinder and more capable woman doing it. I am so grateful to her. me: How long have you been with Bamboletta? Audrey started with us as a sewing mama, sewing up the BEST Sitting Friends we ever did see 😉 She did this while working for BC Ferries as a ticket agent .. sometimes sewing while waiting to usher cars onto the Salt Spring Island ferry. Tired and sick of the corporate job she took the plunge and joined Bamboletta full time. And now look at us <3 Before working at BC Ferries, Audrey owned a diner in Quebec, managed a hotel and did other hospitality type of jobs. I think this experience is why she is so genius at taking care of the ladies! me: What would fans be surprised to know about your process? me: What’s the best part about working for Bamboletta? A: I love the beautiful community online and with the women who sew for us. I also love the flexibility and variety in what I do. I’m able to work when I want – this is very handy as I have a strawberry farm as well! me: What is your favourite part of Bamboletta magic? 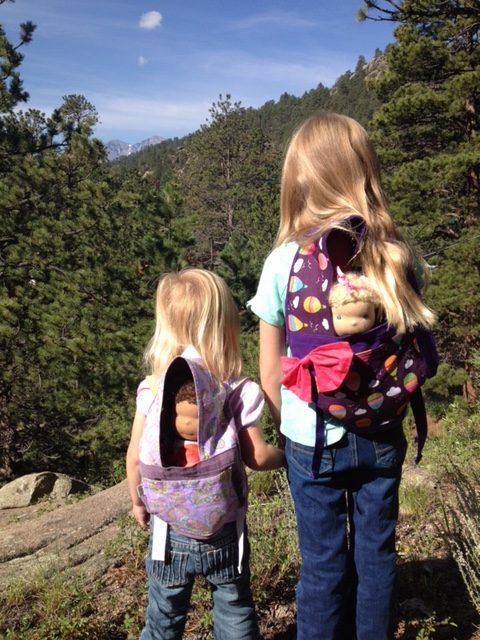 A: I LOVE when people send us pics of their kids and their dolls. It’s nice to see our work appreciated and loved like it’s supposed to. me: What do you like to listen to while working? A: I like podcasts – my favourite being ‘Idea’s’ on CBC and I also like audiobooks. I just finished ‘A Man Called Ove’ that was really great. me: Why is a cherished relic from childhood? 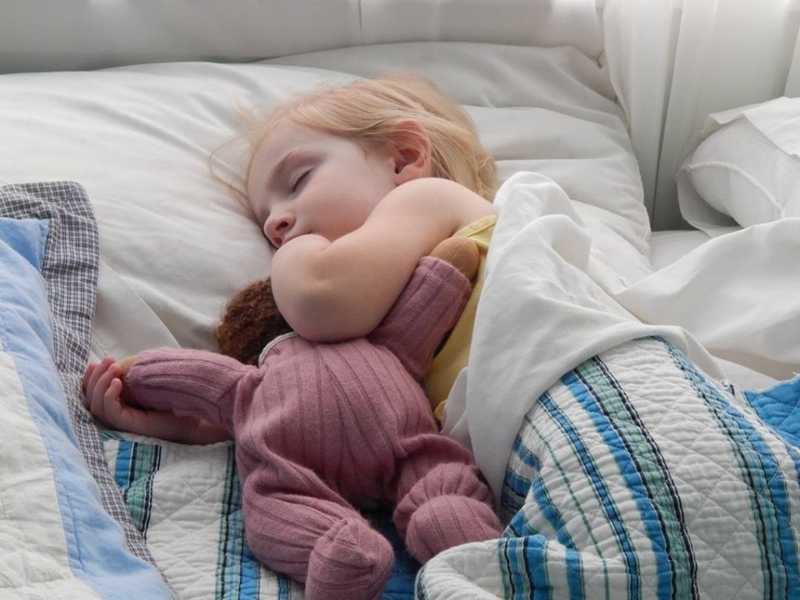 A: A stuffed yellow St. Bernard named ‘Sleepy’ – I still have him! me: What is your favourite quote? I was sitting here without the TV on & without reason or rhyme this showed up. Odd bc I’m not really into Twitter, for that matter Facebook is almost rare for me. I saw these dolls & my heart started to beat. Even faster than the sadness in my heart & the pain in my head. I had to read. I do remember her kind face and I loved reading the interview, so much so it made me cry. Good friends, good help, good taste, just good company is hard to find & she’s even a good story teller! Thank you for the smile. It couldn’t have come at a better time in my life. Hi, friends! I’m so happy to share this story. Brenda has been a very loved and long time customer who many in our Bamboletta community know. I’ve had the pleasure of watching her little ladies grow. I’ve been creating dolls for about 14 years now and I can not tell you how soul warming it is to see your kids grow and then see siblings added and your family grow – it’s kinda the best <3 So, here is Brenda’s story! Comments like these make me incredibly happy …. You know what I hold near and dear in my heart when I create dolls? It’s actually not a what, it’s a who .. her name is Elisa Eliza and she was my doll from about 6- 10 years old. I LOVED her fiercely and still think back to our time fondly. She now lives at my home on a shelf in my room along with a few of my special Bamboletta’s. What comfort, safety and coziness I felt when I had her around. I can still remember how she smelled, the texture of her hair and her squishy body. She wasn’t based on a character that would limit her play to being ‘that’ person, she was who I needed her to be. Her body was squishy, quite like mine was and still kinda is 😉 She never felt foreign to me as some dolls did with their hard bodies and womanly ‘attributes’. 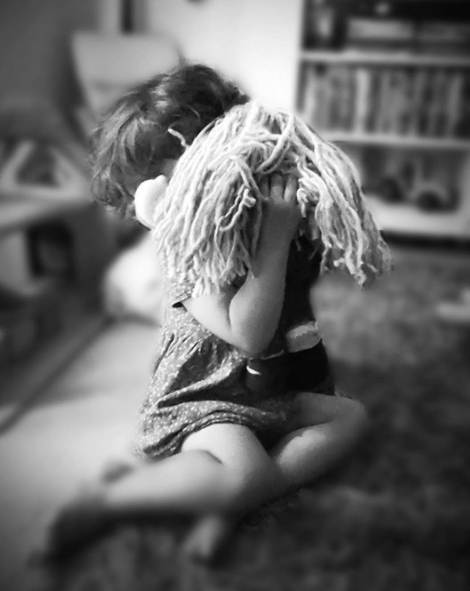 Childhood is a magical realm and I’m glad I had her as a companion. This feeling is what I dream of for children – it may seem trivial to us adults but as a child a doll can provide a feeling of contentment. And I think my adult collectors are drawn to the dolls for the same reason – there is a comfort in the dolls. More Adventures of the Wandering Dolls ..